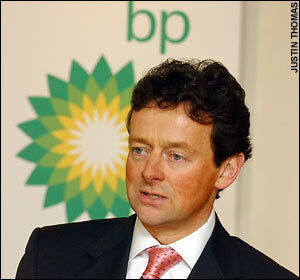 [caption id="attachment_586" align="alignright" width="300" caption="Tony Hayward"] [/caption] BP CEO Tony Hayward did some good things when fronting the media after the gulf oil spill. He came across as humble, sympathetic and talked about the actions BP were planning. Mistakes But he also made some huge mistakes. These always outweigh the positives in a crisis, because there is no margin for error. His first big blunder was the claim that BP was not responsible for the spill, but was only responsible for cleaning it up. Media Training Even though this may have been true, he should have avoided this comment. A round of media training would have shown Mr Hayward that the headlines in world newspapers the following day would read "BP refuse to accept responsibility for spill." That's exactly what happened. Not available to media He made a number of other blunders, but one huge one was not being available to the media regularly. If he had given press conferences every few hours, most of the media coverage would have been set by him. But because he was hard to find, the media had to look for other sources and most of them were critical of BP. Could happen to your business While this crisis hit a large company, any business can find themselves suddenly in the middle of a crisis of varying magnitudes. That's why media training is vital for business people who could at any time be thrust into the media spotlight whether they like it or not.